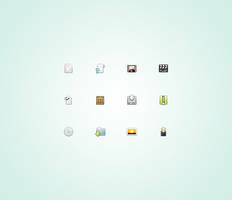 We think that there are a few of free token icons for social networks on the web. That’s why we decided to design 60 most popular social media mono icons. 32×32 px in PNG format. You can customize the colors based on your needs. They are free to use but we still need your comments and shares to keep it up! Sweet, but not available for free anymore? DL is broken. A fix would be very much appreciated! The download link looks like it's down - are you able to reupload? Your download link is broken. These are great but the link is broken. Very nice and simple ! This is amazing! Could you please make one for steam? I would be so grateful! Wow, los probaré, muchas gracias! Espero que no te moleste que los use en mi Web. Ooooh, these are just what I need! Thank you! ooooooh yeeeeaaah! artbees is one of the best! This is perfect! I've been looking for something like this for my current portfolio project. These are sooo useful! Thanks for sharing! Great work - thanks for making them.